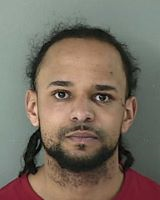 TWIN FALLS — Police have arrested two men after witnesses said the two broke into an Ash Street residence and stabbed a man on Feb. 4. Another man, a friend of the victim, was previously arrested for drug trafficking and unlawful possession of a firearm. 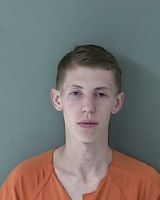 Alex James Chappell, 20, and Joshua Edward White, 30, of Twin Falls have both been arrested on one felony charge each of aggravated battery with a deadly weapon. Police say the two violently attacked a man at his residence while his girlfriend was present. The victim was stabbed seven times in his back, receiving a puncture wound to his lung and a laceration to his kidney. He required emergency surgery at St. Luke’s Magic Valley Medical Center. According to court documents, the victim’s girlfriend told police she and her boyfriend were in their bedroom when they heard banging on the front door. After her boyfriend went to investigate, she heard the door breaking down and glass breaking. The woman ran out to see her boyfriend fighting with a “darker skinned male” and a “white skinny male” running away. After wrestling with the woman’s boyfriend on the couch, the other man also ran out. The victim’s friend Jake Bryan Diaz Deleon drove him to the hospital. Diaz Deleon was later arrested on charges of drug trafficking and unlawful possession of a firearm after police found heroin and a handgun in his car. The victim initially told police he did not know who his attackers were, court documents say. After police received additional information from another of the victim’s friends, he later admitted that Chappell had stabbed him in the back while he was in an altercation with White. “At the time, he thought he was being punched and later realized he had been stabbed,” police said in the affidavits for the arrests. At the house, officers had discovered a shoe print and scuffs on the front door. The door jamb was split open, a coffee table was broken in half and there was blood around the room. The victim told police that White had stopped by his residence earlier that day and asked if he wanted to hang out with him, and he told White no. “He later (after the fight) received a call from White asking him if he wanted to handle things civilly,” court documents state. Chappell was booked on a $200,000 bond. His preliminary hearing has been scheduled for Feb. 15. Chappell has a criminal history dating back to 2011, including a past history with drugs. He was convicted in 2015 for felony possession of a controlled substance with intent to manufacture or deliver. White’s bond has been set at $150,000. His preliminary hearing is slated for Feb. 22. White also has a criminal history and a history of violence. He’s also facing two misdemeanor charges of battery from a January court case.